MLS# 190004774 - 8334 Santaluz Village Green East, San Diego, CA 92127 - Abacus Properties Inc. Courtesy of Windermere Homes & Estates, Lisa Walton. Built in 2016, this stunning single-level home offers the quintessential in Southern California indoor-outdoor living. 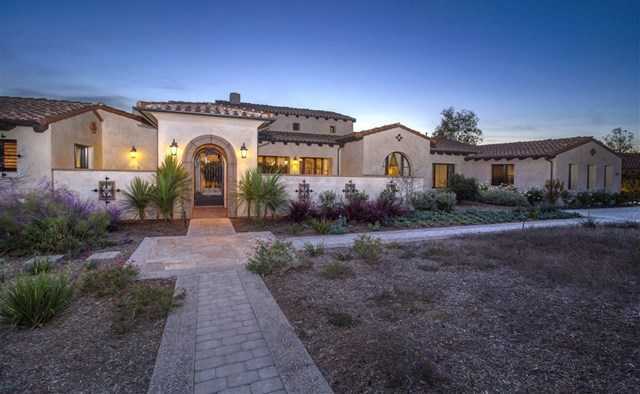 The ultimate family estate, with inviting entry into magnificent great room, chef’s kitchen, large master retreat & 4 ensuite bedrooms in main house & separate entry Casita for guests. Top grade RTI audio/video system throughout. Wood paneled executive office. Resort style back yard, with unobstructed westerly views to the coast. An easy walk to all Santaluz Club facilities. Truly a gem! Please, send me more information on this property: MLS# 190004774 – $4,275,000 – 8334 Santaluz Village Green East, San Diego, CA 92127. I would like to schedule a private showing for this property: MLS# 190004774 – $4,275,000 – 8334 Santaluz Village Green East, San Diego, CA 92127.